Golf is a game of thirty percent. Thirty percent of the time you will walk off 18 green happier than you walked on to the first tee box. Our memberships are set up to make sure that you don’t miss that thirty percent of pure happiness. Our packages cater to every type of golfer. Whether you are out there everyday or just weekends, play with a cart or are a walker; we have a membership for you. 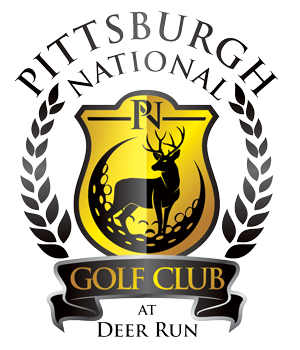 To find out more information, or to find out how you can become a member of Pittsburgh National please contact our Membership Team , or browse the information below. Advance discount valid with full membership/cart paid in full by due date with no exceptions. Guest passes are per membership package = 1 set per-package. 2019 Advantage Card valid for 2019 Golf Season and may be used for green fee and cart fee only. Rate valid for Cardholder only and is non-transferable. NOT VALID FOR USE IN: Harry’s, Pro-shop merchandise, lessons, or other grab and go options. If golf pass is purchased by October 12th 2018 purchase price is: $500 – for $650 in credit. $1000 – for $1325 in credit. If golf pass is purchased by November 9th 2018 purchase price is: $500 – for $600 in credit $1000- for $1250 in credit. If golf pass is purchased by December 14th 2018 purchase price is: $500 – for $550 in credit. $1000 – for $1125 in credit. 2019 Golf Pass is valid for the 2019 Golf Season, and may be used for green fees and cart only. Rate valid for Cardholder and is non-transferable. 2019 Golf Pass is Valid at PNGC for rates and specials. Not eligible for any third party or discounted rates. Not valid for use in Harry’s, Pro-shop merchandise, lessons, or other grab and go options.